The north of Sweden is an unforgiving land with long, freezing winters and largely unpopulated areas. It presents a harsh environment in which to operate an aircraft – yet it was this place that gave birth to Gripen. Defending these vast areas required a fighter that could perform air-to-air, air-to-surface and reconnaissance missions in a single sortie, without the need to return to base for reconfiguration. Gripen was also designed to use roads as temporary runways, allowing the Air Force to use logistical flexibility and speed to keep an invading force at bay. Easy maintenance and reconfiguration was also vital, as it would need to be performed by Swedish conscripts with only 10 weeks’ training – usually outdoors in freezing, isolated conditions. 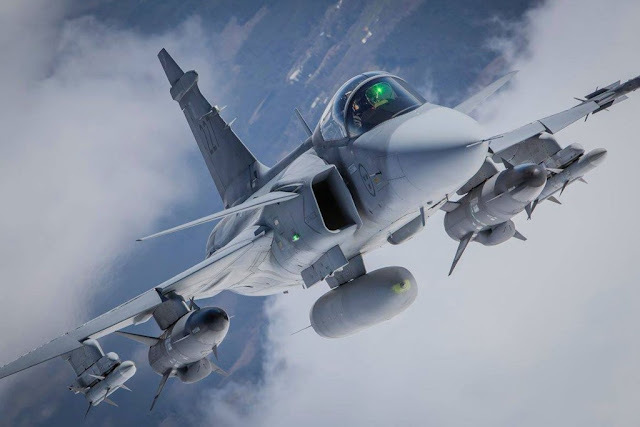 Sweden’s relatively small defence budget and the tough conditions under which Gripen was designed, led Saab to make the fighter as efficient as possible. A fundamental aspect of this approach is Gripen’s modular and open avionics architecture. This enables the integration of off-the-shelf products wherever possible, as well as continuous development of new functions to meet future needs. Gripen NG embodies Saab’s thinking edge by bringing together performance, cost-efficiency and industrial cooperation in one smart fighter system.